Every November at least nine of the capacious exhibition halls at Birmingham’s NEC are filled with the hundreds of classic cars, motorcycles, commercial vehicles, associated suppliers and a large autojumble that make up the Lancaster Insurance Classic Motor Show. This year was no exception, with the Show offering something for every taste, from bubble cars to Bugattis, Fiat 500s to Ferraris, and Austin Allegros to Aston Martins. The Lancaster Classic is where the classic car clubs come to meet, with the best, and often the worst, vehicles on display of all shapes, sizes, eras and budgets. With so much to see in the event’s many packed halls, it’s difficult to take in everything, so we’ve concentrated on a few cars and displays that caught our attention. Chief amongst these were a couple of very unusual and rare TVR derivatives. The first was the charming little Tina coupe, a rear-engined 2+2 prototype based on humble Hillman Imp mechanics, and styled by the under-rated British car designer Trevor Fiore, with coachwork by Fissore in Italy. The stillborn Tina coupe was originally presented on the TVR stand at the 1967 Earls Court Motor Show, displayed alongside a matching, but subtly different, convertible version. Not seen in public for decades, this little TVR was once owned by the ‘only here for the beer’ racing legend Gerry Marshall, with this one-off coupe now the property of his daughter Tine, who inspired the car’s name. 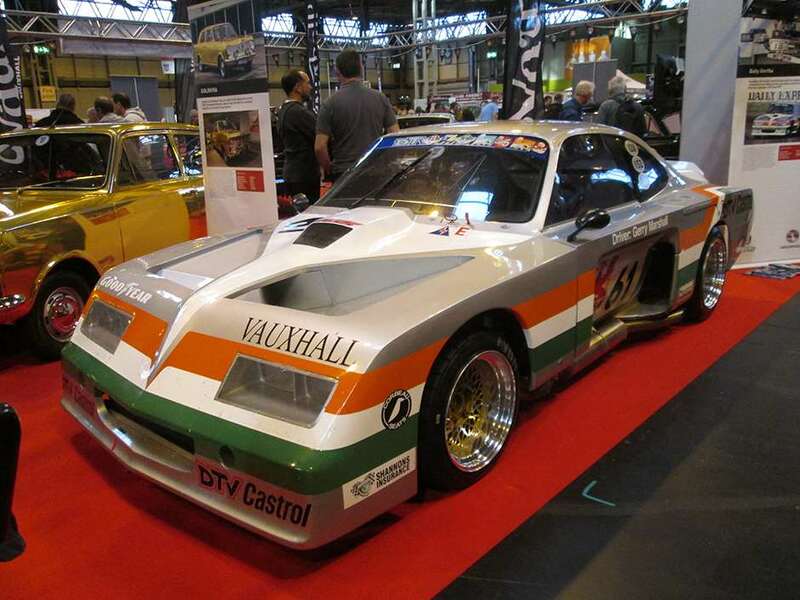 One of the competition cars most closely associated with Gerry Marshall, the Vauxhall Firenza – Baby Bertha – could also be seen at the NEC a couple of aisles away. 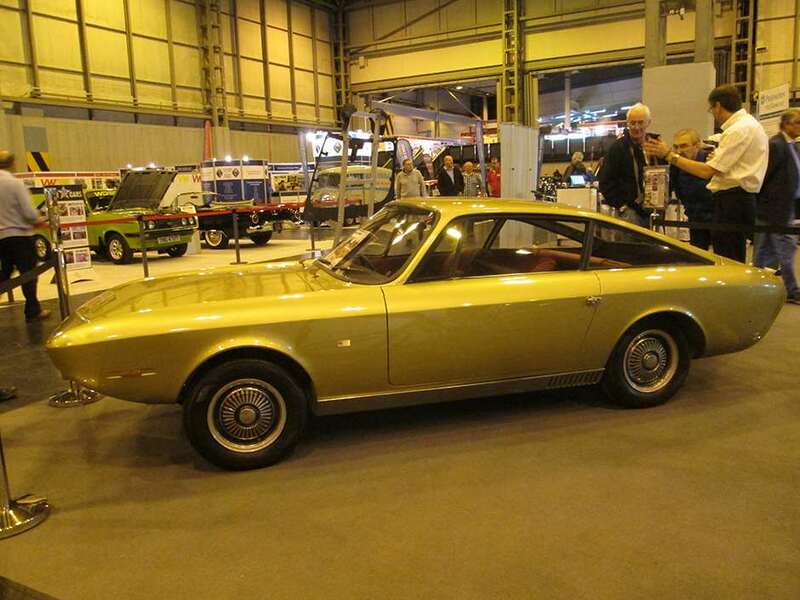 Another one-off TVR-related coupe at the Show was the unique GEM Grantura, which also debuted in 1967 like the Tina, but this time based around an existing TVR model – the Grantura – and restyled with a truncated front and rear end. Now extensively modified for racing, the GEM Grantura was offered briefly for two years by a couple of ex-TVR employees, using the centre section of a TVR Grantura. The Ford-powered model found no takers, so GEM turned its attention to the Yak in 1970, a Mini Moke-inspired ‘jeep’ that was marginally more successful. Sticking with low volume specialist British sports cars, the intriguing Jensen P66 prototype was seen for the first time in many years. Designed and developed by Jensen Motors in 1966 as the successor to the distinctive and brutish CV-8, the Volvo P1800-esque P66 project (remembering that Jensen built the early P1800 coupes for Volvo at its West Bromwich base) was abandoned in favour of the far prettier – and more modern – Vignale-styled Interceptor and revolutionary FF models, also presented in 1966. The Register for the coachbuilder E.D. Abbott of Farnham fielded a fascinating array of converted 1950s cars, based around Bentley, Bristol and Healey chassis’, plus a surprising period three-door fastback hatch modification to an early 1960s ‘Z-back’ Ford Anglia. 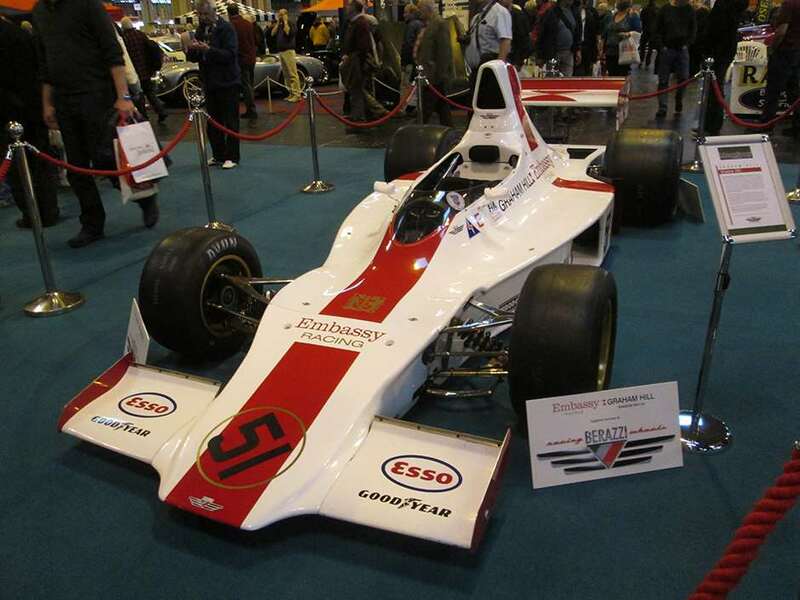 A tribute to double World Champion Graham Hill clustered a number of his greatest competition cars together, including his early BRM V8, Lotus 49 and 1974 Embassy Hill Formula One car.